When the Wall doesn’t fall by itself, you have to force it down. When the army puts up a checkpoint to control your freedom of movement, you go there to show it that it is not right. When the Zionist state denies your Right of Return to the land that has been stolen from you, you go and take it back. This was the aim of several hundred activists from all across occupied Palestine who gathered today to resist the Israeli occupation and to claim their Right of Return. 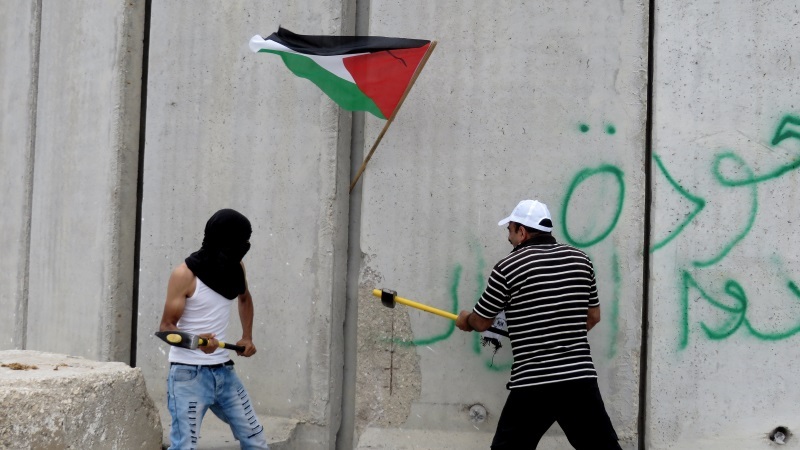 Chanting resistance slogans and carrying names of Palestinian villages the newly-made Israeli state destroyed in 1948, they marched towards the Apartheid Wall in Tulkarem. 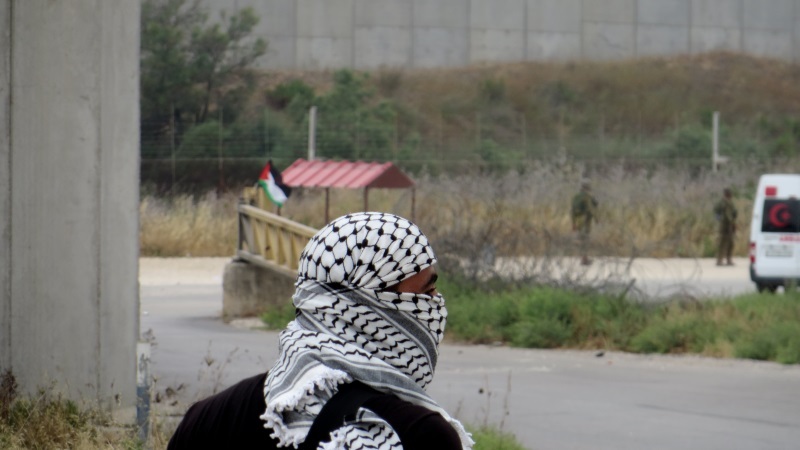 When the protest reached Natanya Checkpoint, they were met by least 20-30 Israeli soldiers. 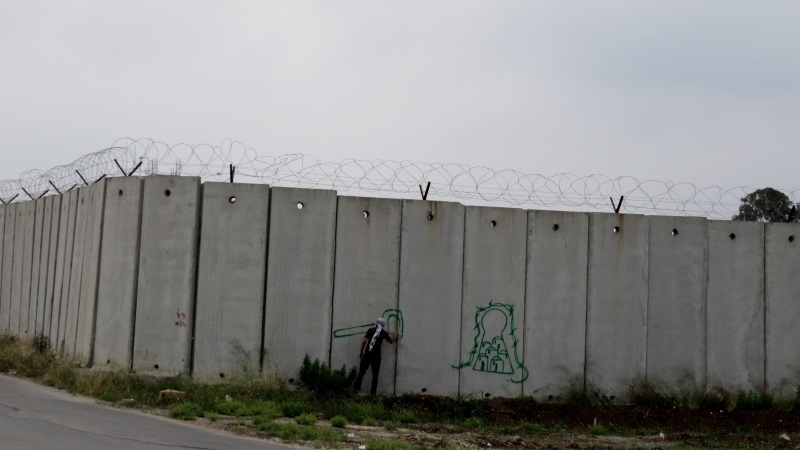 While some split to paint graffiti on the wall, others pushed up against the gate of the checkpoint. After just a few minutes, the soldiers began firing into the crowd, with a variety of weapons – steel rubber-coated bullets, tear gas, tear gas mixed with pepper spray, sound grenades, and live ammunition (the latter to the air). The soldiers continued to push the demonstrators back. Several fires were ignited in the area by the barrage of tear gas. Eventually the military drove several jeeps into Tulkarem city, stationing themselves between houses, until the end of the demonstration. Casualties: A 20-year-old student from An-Najah University in Nablus was kidnapped by the army; two people were injured in the leg and the elbow when tear gas canisters hit them; dozens suffered from tear gas inhalation. Pictures below the video. For more, please view the facebook album here. Several hundred unarmed civilians against the occupation monster. 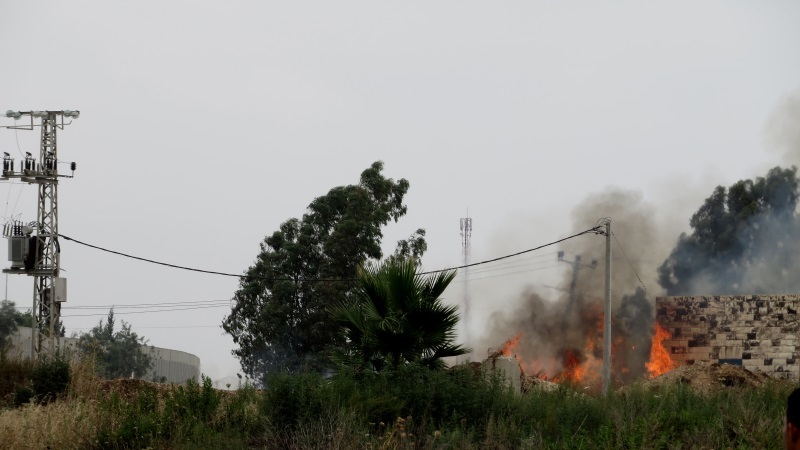 Fire caused by the Israeli army.